Thinking about a road trip? Here are the five best and worst cities in America to drive in. Holiday travel can be extremely stressful and upsetting, especially if the trip involves dealing with heavy traffic, paying for expensive gas, or worrying about the safety of your car while you're away. These common frustrations are generally bad for American and international travelers, prompting WalletHub to nail down the best and worst cities for driving. WalletHub examined the 100 biggest cities in the United States by using 25 metrics, varying from cost of ownership & maintenance, access to vehicles & maintenance, traffic & infrastructure, and safety, to decide the best and worst cities to drive in. Did your city make the list? 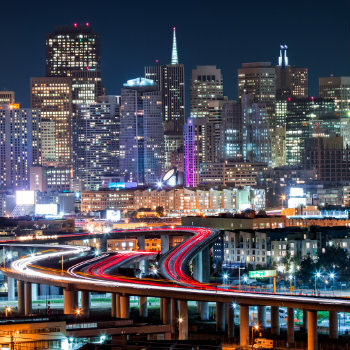 San Francisco is the worst city in the U.S. to be a driver, with the highest average gas prices, frequent traffic congestion and frighteningly steep streets. With high gas prices, a lack of public parking and busy streets, Oakland ranked second in America's worst cities to drive list. In a city that is listed among the worst for car thefts, motorists in Detroit will also be used to frequent road maintenance and congestion. A lot of tourist drivers, one way streets, and expensive parking; it can be a challenge driving in Washington D.C.
Seattle's rainy weather makes for slow traffic, particularly during rush hour. And don't expect a simple merging process! Don't worry if your car breaks down in Corpus Christi. The city is one of the cheapest places for auto maintenance! The city of Gilbert dedicates a lot of time to its safe driving campaigns, and its efforts have paid off. 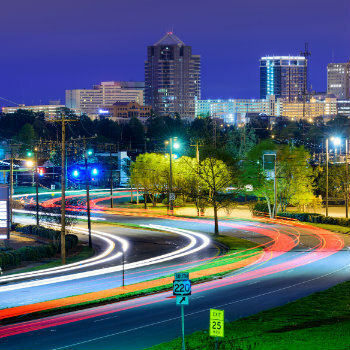 With reasonable vehicle maintenance costs, and quality infrastructure, it is a breeze driving in Greensboro. With a lack of traffic and plenty of scenic drives, it is easy to see why Mesa makes the list of the best places to drive. Driving in El Paso is straighforward. The city ranked well for its traffic and infrastructure. Do you agree with this list? Let us know in the comment box below.